Arvo session with no drop in swell or frequency in set waves. 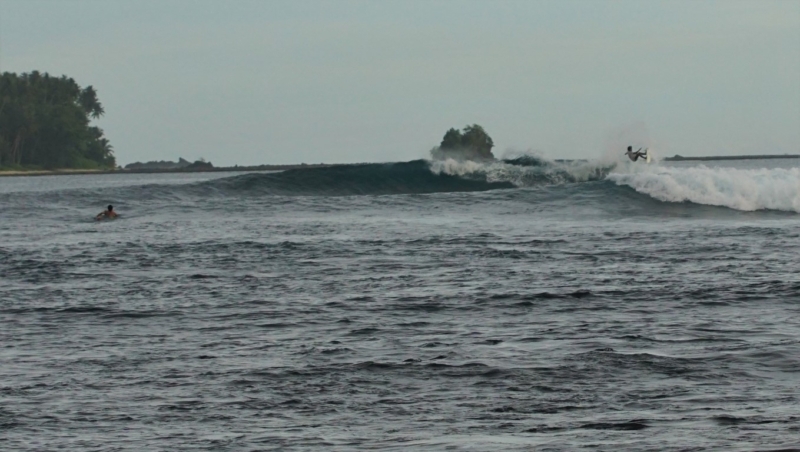 A surfed out few days for the lucky few tourists here at Lagundri Bay at present. It’s the last day on the point for our guest Glen. He’s surfed out and relaxed after 3 surfs a day every day for the past 10 days. We take a trip to the local lookout point for an overview of Indicators so he can at least say now that he saw more than just the eye of barrels. Cold beers on the deck for the arvo session with Papa Shane and some Indonesian guests seeing surfing for the first time before a Kabunohi banana leaf fish bbq . Good times in Nias! Wednesday 29th March: Slight drop in swell to 4-5 foot. Sets still frequent with oil glass conditions. At 9am only 3 guys surfing! Classic Nias. Surf backs of during the day with Kiddies Corner and the Rice Bowl section, in front of Kabunohi starting to fire up on the arvo high tide. Thursday 30th March: Swell backing of too now steady 4 foot. The Charter vessel Barrenjoey come in the Bay showing that not much wave action around at any of the islands through the chain, there guest are a family learning to surf and the Sorake waves are producing the stuff on the inside Kiddies corner with great little safe waves breaking consistently on the inside section. 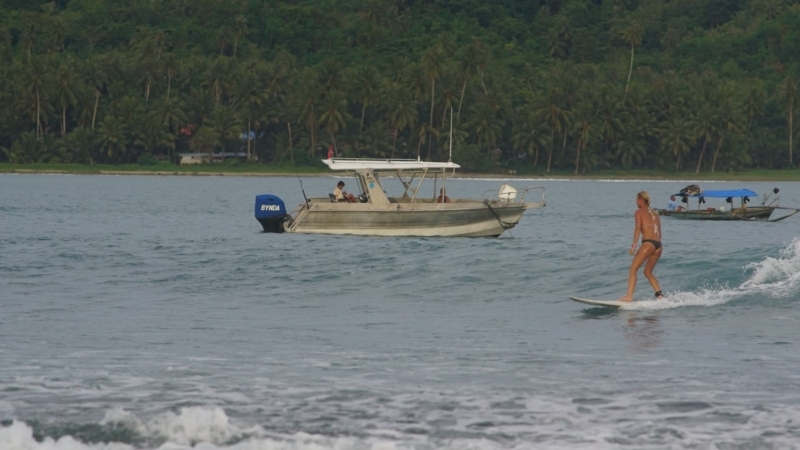 Sunday 2nd April: Overnight rain with a little increase in the swell. Smaller waves on the outside with the Sunday kids on the Kiddie’s Corner section which is peeling through. Overcast skies and light wind makes for a cruisy Sunday. 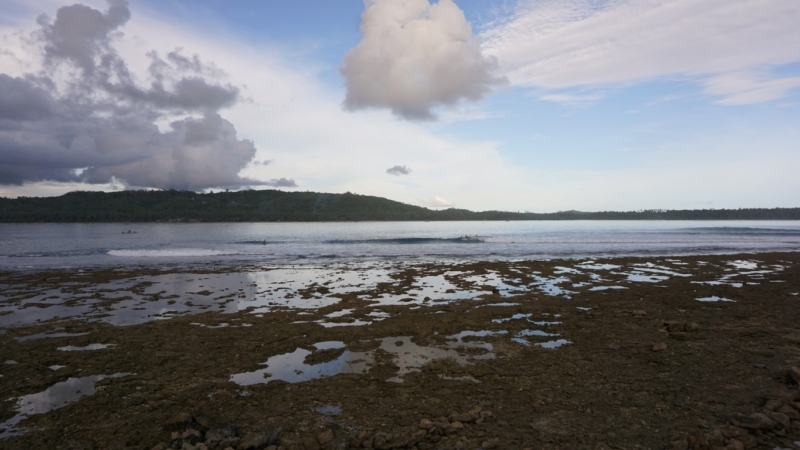 Afternoon low tide sees the waves breaking down the line from outside Keyhole hugging the reef of Kiddies Corner to the Rice Bowl section. A friendly end to the week end! No Guests at present in the Resort, so staff enjoy some free time in the afternoon on the deck and swimming off the reef. Monday 3rd April: Beautiful conditions but lack of swell. 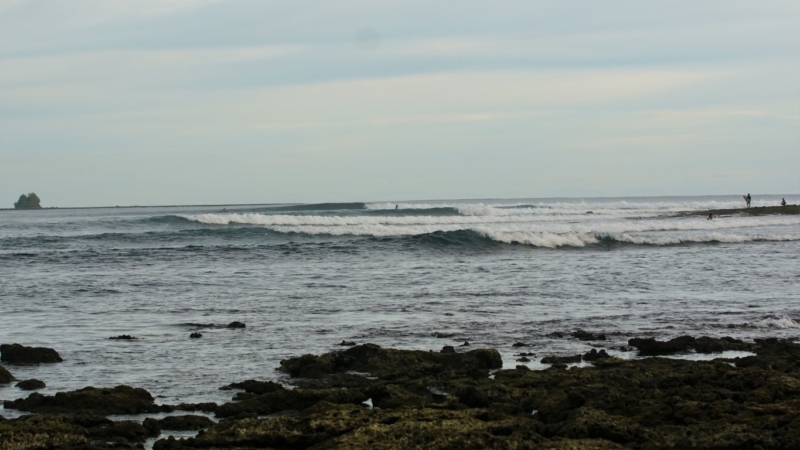 The low tide early morning pushes most of the swells wide. Only a few waves are now trying to hug the kiddies corner reef for any sort of ride with an occasional set wave breaking out the back to entice the early morning crew; who are in the water, I think not for the waves, but for the beauty of the water and tropical view of coconut fringed Lagundri Bay. During the day not much change. Surf on the Kiddies Corner is offshore all day. so wheres the pics of the 4/6ft days with no one out then? ?